Home » interns » internship » students » summer » Ummehani Mustafa » working » Summer Internships : Are they worth it? 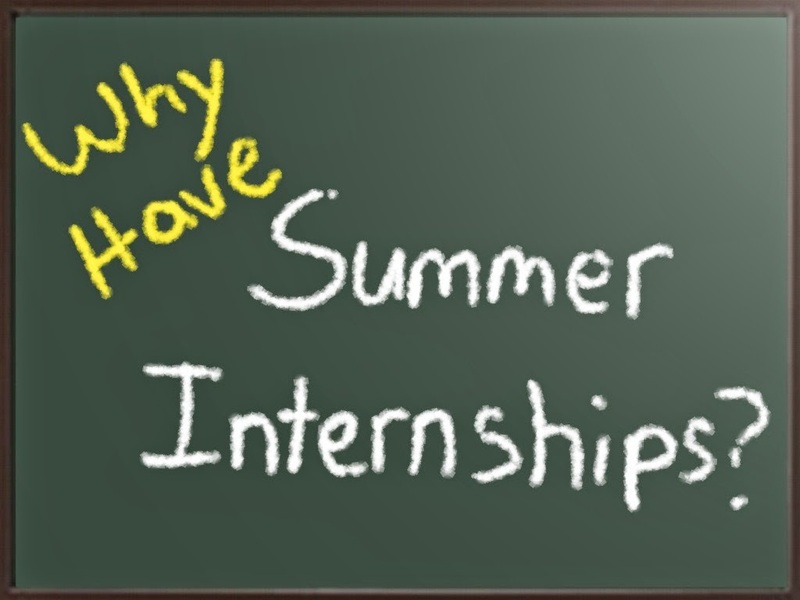 Summer Internships : Are they worth it? One of our major concerns when we think of applying for a job is; how to fill in that blank that asks us to state our years of experience in the field. That one measly blank seems to be the root of all worry for a fresh graduate. There seems to be a solution for the problem and it’s a simple - intern during the summer break. Interning for an organization gives us a taste of the competitive world out there. It gives us a glimpse of the tasks and challenges that will be laid ahead for us in our careers; in fact it adds a different dimension to our course studies. True, it seems to be a thankless job in this part of the world as most companies don’t offer paid internships but, it does go a long way in building up our (otherwise nil-in-the-experience area) resumes! What do you gain from summer internships? Share your views and experiences! However some would think internships are a headache and a less tiresome way to spend the summer holidays is to not do anything at all! We have to slog the rest of our lives anyway, so why should be prematurely enter the real world and spend these golden years submersed in work too? We all know these carefree days are never coming back. There seems to be no reason to work when the hot summer days of Dubai can be spent lazing around, enjoying life. Instead of spending summers over exotic and nostalgic travels, some students spent their summers productively gaining work experience in their respective fields. George Kurian ,a third year Mechanical Engineering student, spoke to us about his time working for the Porsche Service Center in Dubai. "I spent my summer interning at Porsche's Service in Dubai and it was a wonderful experience for me as I had my hands full with my favorite car's engine. I worked with the Engine Servicing team. Besides it being a fun job, I had hands on experience working in the field, especially the technical bit," said Kurian. Disha Dadlani, a second year Media & Communication student completed a six week internship at Masala! Magazine and said that being in a practical environment and following strict deadlines her gave her the experience she needed for her to realize her dream of becoming a journalist. “Happiness for a budding journalist is a byline, and that’s what I got (and much more) during my six weeks internship at Masala! Magazine, a leading Bollywood magazine in the UAE," said Disha. Wafa Dilshad, final year Interior Design student, shares her experience working for Al Mashrabia Furniture Industry.“I had the unique opportunity to intern for a local design firm, Al Mushrabia Furniture Industry, unique because this is the first time the company has offered internships anywhere,"
"I, along with two of my classmates, was chosen to intern for the company after we won a competition they conducted for Interior Design students in our university. The internship helped hone our skills in product design, as the three of us were further competing with each other. We were asked to design a new sanitary ware collection for the company, the winner's designs are going to be launched by the company,” said Wafa Dilshad. Ms Shruti Jevaraaj, Manipal University Dubai's placement officer also supported students' taking up internships. "Given the fact that the world is shrinking now, any kind of experience, real-time experience, beyond the walls of the university is going to be advantage to you. Although i would stress upon the kind of internships you take up." These experiences from the students clearly show us that the wise thing to do, would be to intern during the summers. Yes, these carefree days of ours are numbered and this is exactly why we shouldn’t waste them. As students, we need to do all that we can to make sure that we emerge strong and skilled professionals able to handle anything that life puts in our way. Doing an internship isn't going to do all of that for us, but it’s definitely a step towards taking charge of our futures! Who says an internship has to be boring?! If you’re doing what you love, it’s definitely going to be fun!